She wrote chick lit. Kind of. 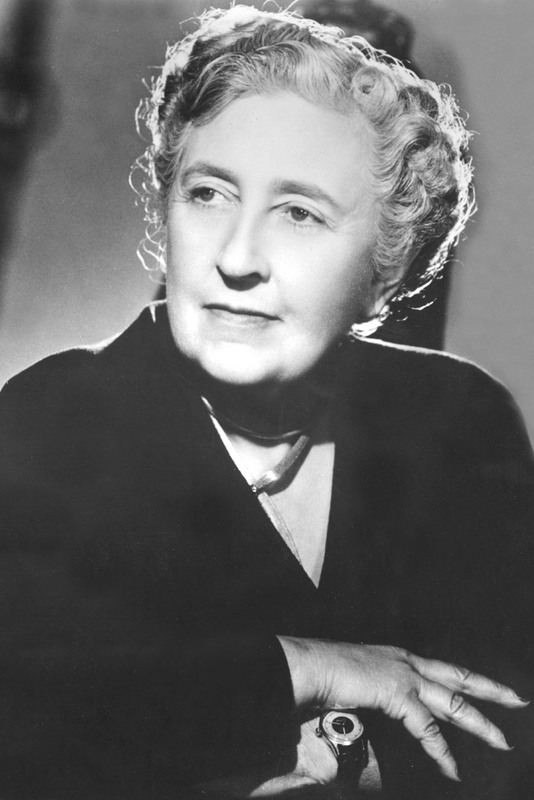 Although she’s world-famous for her crime and mystery novels, Agatha Christie also wrote six romances under the pseudonym of Mary Westmacott. Her detectives live on. Hercule Poirot and Miss Marple have graced our screens since 1928, when a film called The Passing Of Mr Quinn hit cinemas across the country. In fact, most of her books have been adapted for either TV, film, comic books and even video games. Tommy and Tuppence Beresford have recently been on our screens courtesy of David Walliams and Jessica Raine. In fact, over 30 films have been made of her books. The most famous are Murder On The Orient Express and Death On The Nile. But it wasn’t just faraway locations that were deemed dangerous places. Unpopular socialites were just as likely to get bumped off in art deco hotels in Devon (Evil Under The Sun). The TV adaptation of the film was shot in the rather beautiful Burgh Island Hotel at Bigbury on Sea, a place where Agatha Christie herself actually stayed, and which inspired possibly one of her most famous tales, And Then There Were None (see below). She’s been accused of racism – frequently. Anyone who isn’t English is ‘foreign/exotic’ or makes someone feels ‘uneasy’. While she has many English villains in her books, Johnny Foreigner is always under suspicion from the start (and nobody seems to challenge this). Her best-selling And Then There Were None was originally published under the titles of Ten Little Indians, and even Ten Little N-words… Seriously. She’s the only woman to have ever had three plays running in London’s West End simultaneously. Mousetrap, the world’s longest-running theatre production, is in its 63rd year and looks set to continue more or less forever. She starred in her own mystery. Like a character in her own book, Agatha Christie went missing from her Berkshire home for 11 days in 1926 and never offered an explanation of where she was. At 9.45pm on the evening of Friday 3rd December, she kissed her daughter goodnight and drove off in her Morris Cowley. The car was later found down a slope near Guildford. The press went into a frenzy and it even made the front page of The New York Times. As the world speculated about what had happened to her, various scenarios were picked over. Had she drowned herself in the nearby pool? Was her unfaithful husband, former first world war fighter pilot Archie to blame? Or was it simply an elaborate publicity stunt? She was a poison aficionado. During the Second World War, Christie worked in the pharmacy at University College Hospital, where she gained a real insight into poisons and their effects. She used the info in her post-war novels. She was investigated by the MI5 in 1941. One of the characters in her thriller, N or M?, was called Major Bletchley and, so realistic was the story and writing, the intelligence service thought perhaps she must have had a spy in their codebreaking centre, Bletchley Park.